Eagle Rock Entertainment would like to ensure you have a very Deep Purple summer and to that end have begun a product roll-out that includes Purple Mark I expanded remasters, four remastered live albums and a couple of early David Coverdale solo albums. Along with the reissues Eagle Vision offers something new in the form of a long overdue focus on Purple Mark IV in the form of a DVD/CD documentary set. 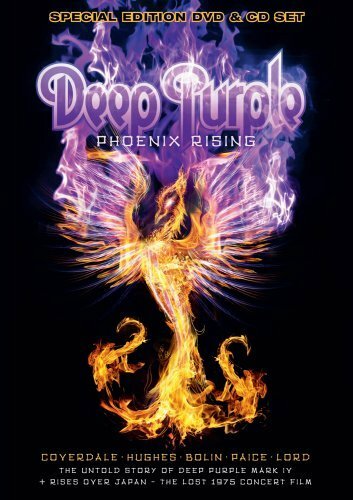 It’s called “Deep Purple, Phoenix Rising” and features the Coverdale, Hughes, Bolin, Lord and Paice era. It’s a loaded package of goodies and includes the previously unreleased Budokan film from 1975, visually spruced up and 5.1 remixed. I really dig it and tell you exactly why in my review at PiercingMetal.Com.